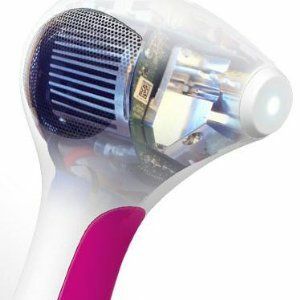 Yes, the Tria Hair Removal Laser can be used on women's facial hair (cheek line downward). Darker, coarser facial hair is likely to show more pronounced reduction than lighter and finer hair known as “peach fuzz” on the upper lip and side of the face. Men should not use it on their face due to the density of facial hair. DO NOT USE the Tria 4x Laser on or around the eyes, eyebrows, or eyelashes. Doing so can cause permanent eye injury.